Family and friends may call at the Amos Carvelli Funeral Home, 201 Edison Street, Nutter Fort on Saturday, January 26, 2019 from 2:00 pm to 5:00 pm, where funeral services will be held at 5:00 pm to conclude the visitation with Reverend Nancy Cale presiding. In lieu of flowers, the family has requested remembrances be made to the RCB Alumni Foundation to support the class of 1967 Scholarship Fund at #l Eagle Way Clarksburg, West Virginia 26301. In keeping with her wishes, Mrs. Heater will be cremated following the service. Linda Mae (Vanhorn) Heater, 69, of Stonewood, went home to the Lord on Wednesday, January 23, 2019, at United Hospital Center, with loving family at her side. She was born on February 10, 1949, a daughter of the late James Wilson and Eleanor Louise (Jacobs) Vanhorn. Linda was a loving daughter, mother, granny, sister, aunt and friend. She was a registered nurse and retired from the Louis A. Johnson Medical Center in 2005, after 35 years of service. Linda was most proud of her two boys, Corey and Casey, and their families. She was a daily part of their lives and will be missed greatly. She was a beloved mother-in-law to her daughters-in-law, Rachel Romano and Courtney Heater and was a cherished “Granny” to her four grandchildren, Hunter, Chloe, Cyleigh and Allie. She enjoyed doing everything she could for them. As life tends to go, she was battling ailments as she aged but was always able and willing to help with her grandchildren. In addition to her two boys and their families, Linda is also survived her by her brother, Jim Vanhorn of Anmoore, and sisters, Brenda Donnellan of Jane Lew and Sherrie Stinson, of Jonesville, Virginia. She is also survived by her special Uncle Norval and Aunt “Minnie” Lawrence of Nutter Fort and many special nieces and nephews whom she loved dearly, as well as her dear friend Penny Lamm, whom she’d been friends with for over 60 years. In addition to her parents, she was also preceded in death by her brother Charles “Chuck” Vanhorn, brother in-law, Mike Stinson, niece Danielle Jones and sister-in-law Brenda “Patsy” Vanhorn. 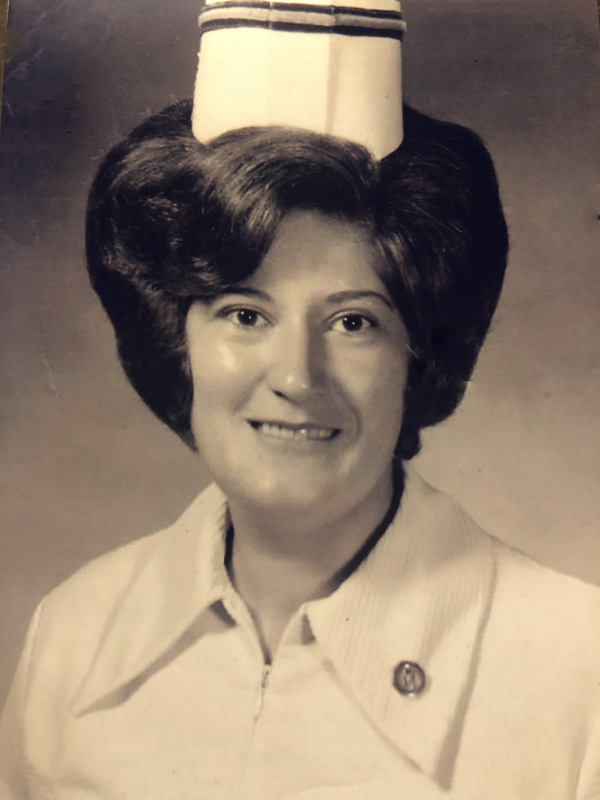 Linda was a graduate of Roosevelt Wilson High School Class of 1967 and received her Associates Degree in Nursing from West Virginia University of Parkersburg. She recently helped organize and plan her high school reunion for her 50th year anniversary. She derived great enjoyment in studying genealogy and could always be found with a stack of old newspaper clippings close by as she discovered the twists and turns in her family tree. She loved bowling, and while able, went bowling every Tuesday morning at Compton Bowling Lanes and spent her other mornings with her “Hardee’s crew” at Hardee’s in Clarksburg catching up on life’s adventures. She was an active member of the East View Lions Club.